Thousands of workers are taking part in hospitality sector strikes. 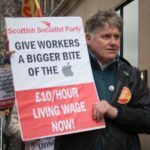 The Bakers union (BFAWU), War on Want and Unite Hospitality are campaigning for workers’ rights and ending poverty pay. 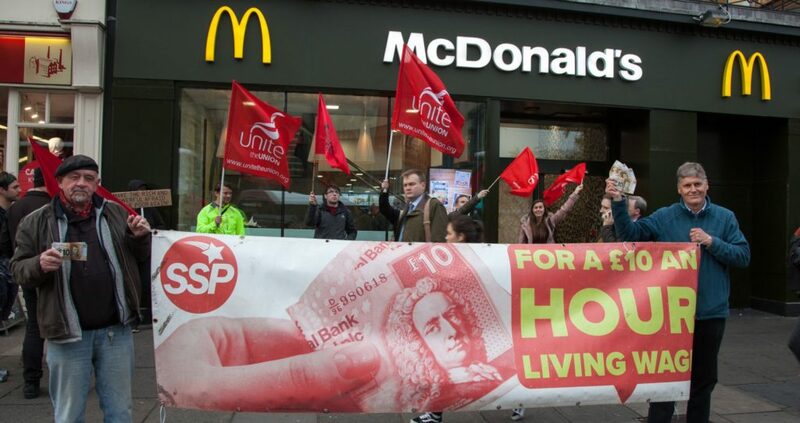 McDonald’s, Wetherspoons and TGI Fridays workers announced renewed strike action. 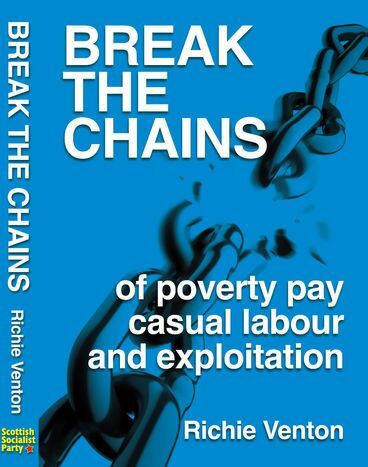 Striking over tips, poverty pay – for a £10 an hour living wage – and for union recognition on the same day. Uber Eats couriers are on strike in protest over a cut in the rates for deliveries – with demands of £5 per drop & £1 per mile. 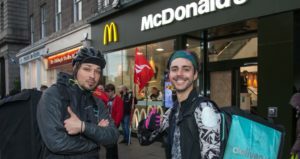 Deliveroo couriers will join them in taking action. 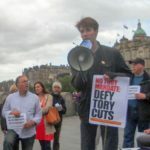 SSP national spokesperson Colin Fox offered fraternal greetings to the Edinburgh solidarity protest. These are sectors bedeviled by the poverty pay and job insecurity that go with zero hours contracts like burgers go with chips. This is an international effort. Fast food workers in the United States will also be going on strike between October 2nd and 4th. There are also strikes and rallies by hospital, child-care, higher education and airport workers & other industries blighted by low pay. Demonstrations will also take place in Belgium, Italy, Germany, Chile, Colombia, Japan and the Philippines as part of #FastFoodGlobal.